Today I have one goal: to inspire you to take that frustrating knit you want so much to love and rescue it from an untimely demise! Just think of all that grueling work you put into it (never mind the $$$$)... How is it that we can work like shoemaker's elves on something only to watch it sink down to the bottom of the usable sweater stack? I finished #03 Embellished V-Neck by Leah Sutton (Vogue Knitting Fall 2006) back in 2007. I fell in love with the deep V and the little lace flounces at the hip. I even used the yarn they called for, because I wanted it to be exactly the same. Years later when I finally posted it on Ravelry, I hoodwinked everyone and used this picture. PROBLEM #1: The sleeve caps. Oh my -- they were just so BIG. There is a football player pad worth of extra fabric at the sleeve cap, seriously. Check out Ravelry, everyone has the same problem, the sleeve cap is wrong, just plain wrong. PROBLEM #2: This is probably tied into the sleeve cap problem, but the shoulders were so loose that they couldn't keep the deep V-neck up. Basically, I had to adjust a gap that always appeared and there is nothing worse than adjusting a knitted piece all day. Better just not to wear it! 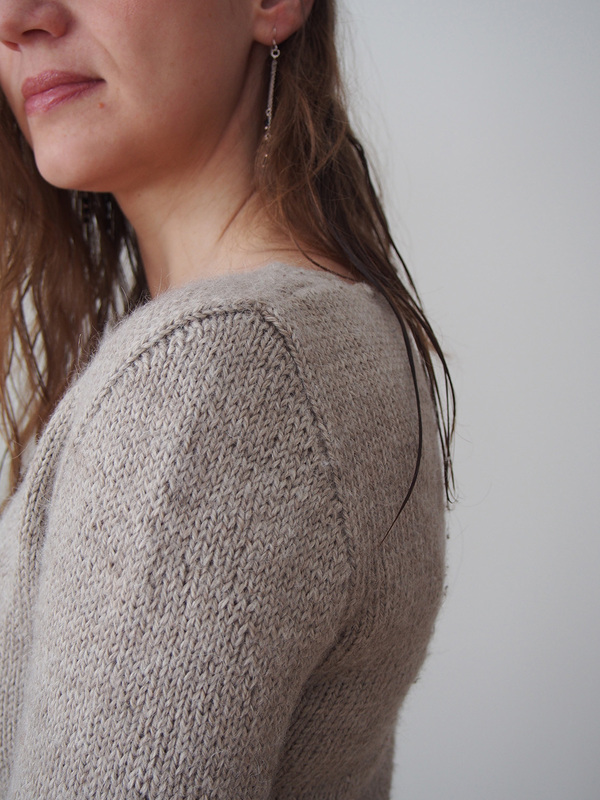 PROBLEM #3: If you are going to use über-warm Suri alpaca to make a sweater -- don't make 3/4 sleeves! 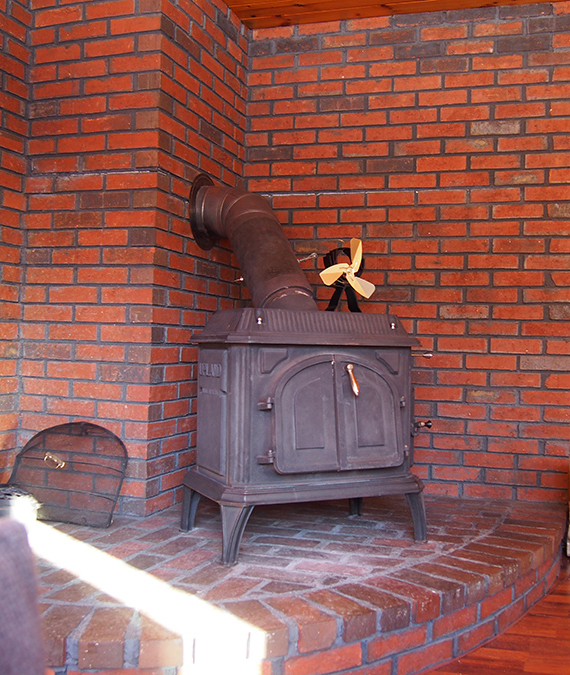 It's far too warm for interim weather -- but you need to cover your forearms in cold weather. This piece is basically never wearable! PROBLEM #4: For some bizarre reason, the only trim extending to the back was at the waist... so you have this lovely lace front and then a messy back edge that has rolling stockinette?? no no no. I have been guilty of frogging or giving away a lot of my knits, at least 15 pieces have been banished from my closet for not being worn. And I don't regret any of them -- because seeing the 'beaded' eyes of an unworn knit staring back at me on every trip to the closet infuriates me! But I wasn't ready to let this one go. Let's start with the most egregious problem, the sleeve caps. Since I wanted long sleeves too, I just thought I'd abandon the pattern and go to my slim, fitted sleeve standby: picked-up short-row top-down sleeves. I've used these a number of times and always am really satisfied with the results. The formula I use is in this post. I didn't have enough leftover yarn to do the new sleeves in new yarn, so I had to re-use the frogged yarn, which after 8 years was croaking pretty loud. I was worried that the lumpiness would not go away, but it turned out that a good soak and a lot of smoothing down during blocking did the trick. 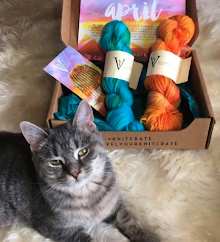 You'd never know that I re-used the yarn! 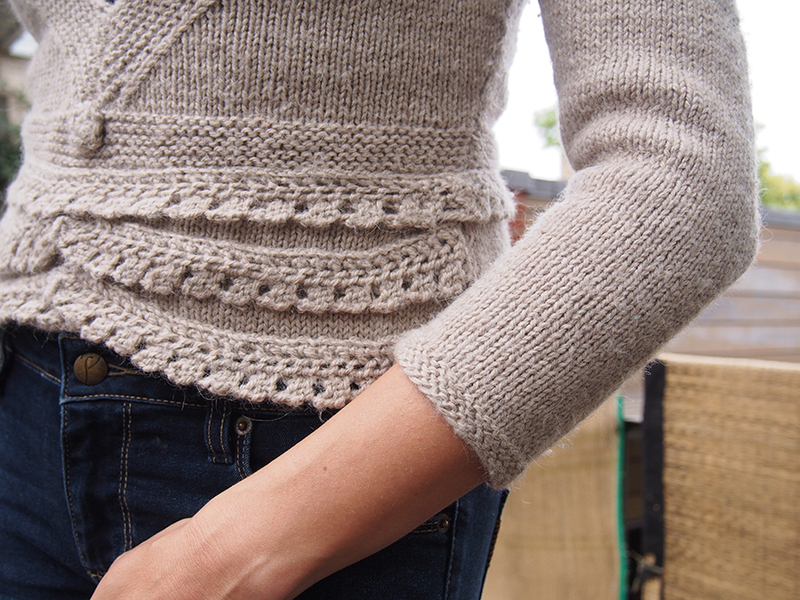 I also cuffed the sleeve in garter stitch to put greater emphasis on the waist and v-neck garter elements. To help keep the shoulders up, I added a simple crochet chain between the two shoulder seams. 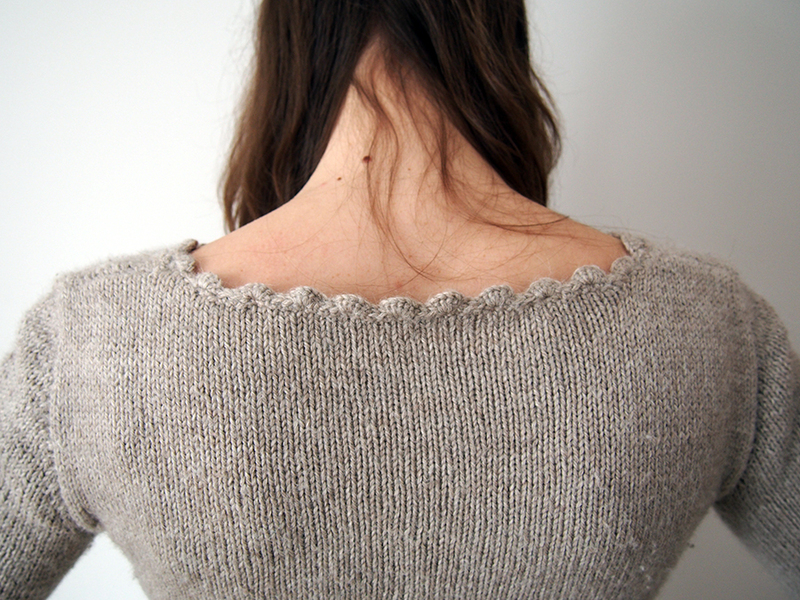 This kept the back crochet trim tight on the neck, and also kept it upright. To really nail the Slipping Off Your Shoulders coffin shut, I also sewed the V-neck up a little higher. This makes it tighter, but it's worth it! The final touch was making another trim to hide the rolling back. By the way, I am using the wrong side of the trims compared to the pattern, because they look better. 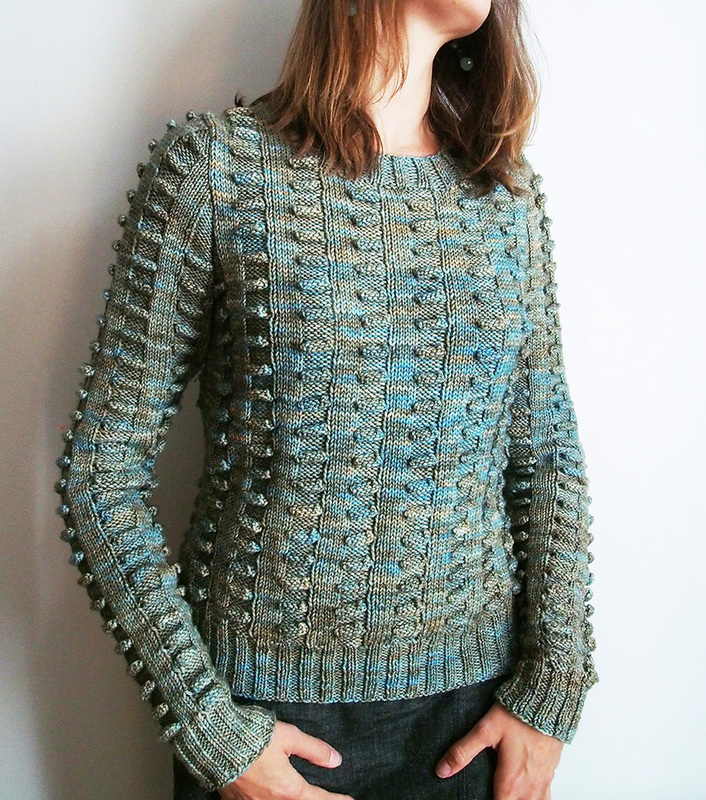 And there you go -- a drowning knit is saved from certain demise. Yessssss! And now it's time for some house news!! First off, we received our kitchen island pieces.... aaaaand the butcher block was cut to the wrong size and one of the cabinets was warped. WAT?! Very not thrilled to be waiting another 6 weeks for this. But fortunately they are letting us use the bad pieces while we wait, so we already have a nice set-up going (see Negroni ingredients on top)! 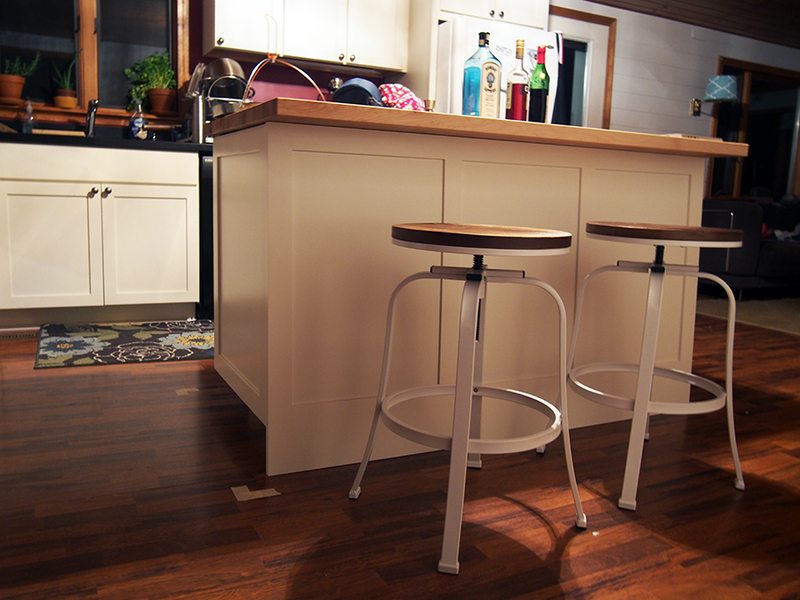 Check out our adjustable stools from Target.com, I really love them. 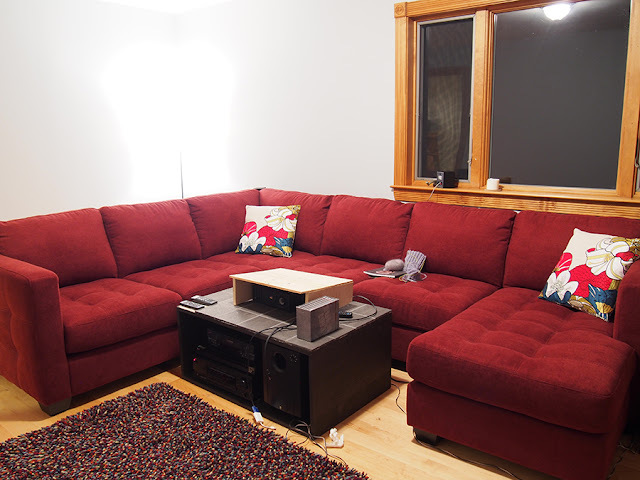 Second, we bought a sectional couch for our cinema room.... THAT WAS TOO BIG TO GO UP THE STAIRS. Total nightmare! We had to remove a bannister (and scratched the laminate floor doing it), the closet doors, the front storm door (breaking it, how nice), the molding around the entryway (denting it) and the feet from the sofa... AND FINALLY IT WENT IN. Many bruises were acquired, this thing was 8 feet long! But yeah, it looks awesome. Next step will be installing the projector in the ceiling and constructing a coffee table. I'll wait till it's all ready to show you a nice daylight pic. Yes, we are re-watching The Wire, the best TV show ever created. 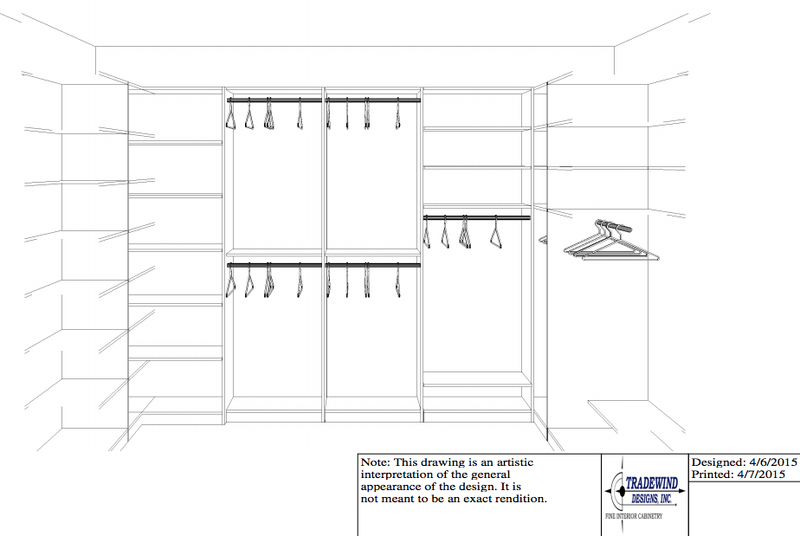 Finally, we had someone in to design a closet system -- we have two big walk-ins with nothing in them except a pole. And the kicker is the pole is too wide for most hangers!! Bizarre. 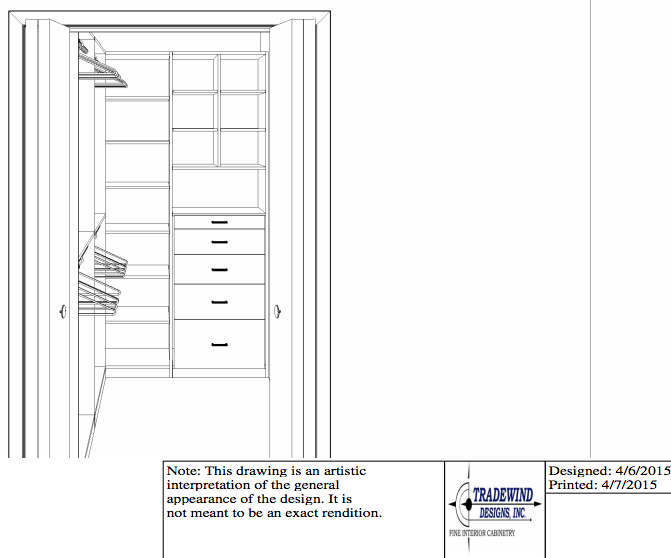 Here's the plans and yeah, the HERS closet is much bigger, hee hee. Check out all those shelves for sweaters! Maine is still a wasteland, but I've heard of crocus sightings and there are robins everywhere. 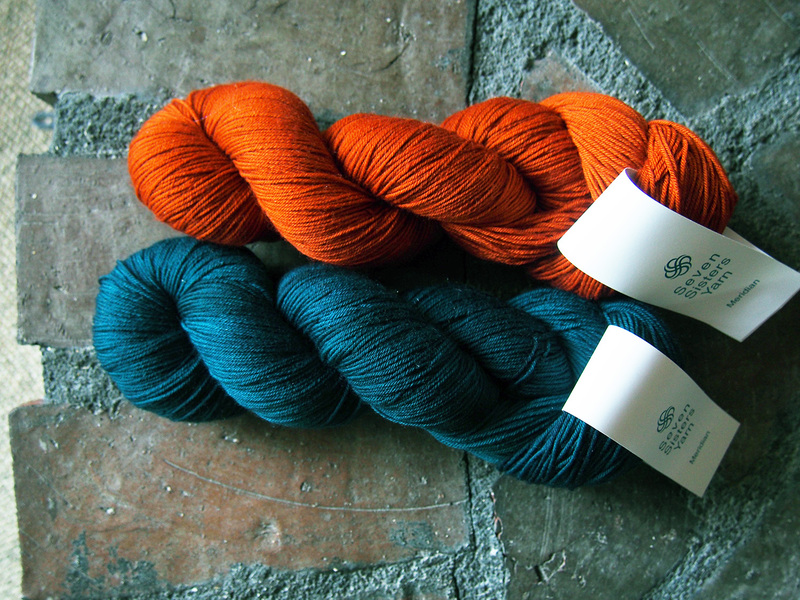 Next week I'll be posting a giveaway of some beautiful hand-dyed yarn from Seven Sisters Arts in Blue Hill, Maine. Follow my Facebook Page if you don't want to miss your chance to win! 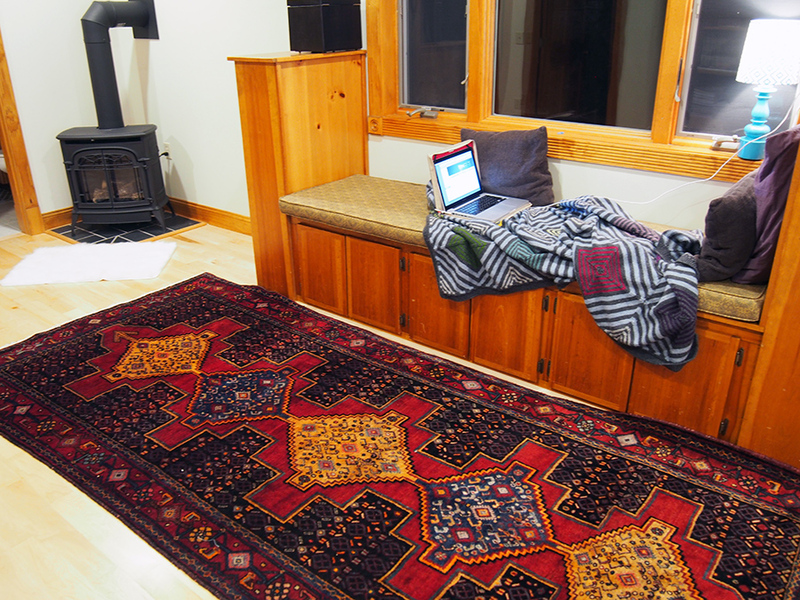 Too bad about the sofa's bumpy entry, but it looks fantastic in situ. Thanks! Someday I'll walk into the room and forget what it took to get the sofa there.... I hope? Love this post. Amazing how you were able to modify the sweater. 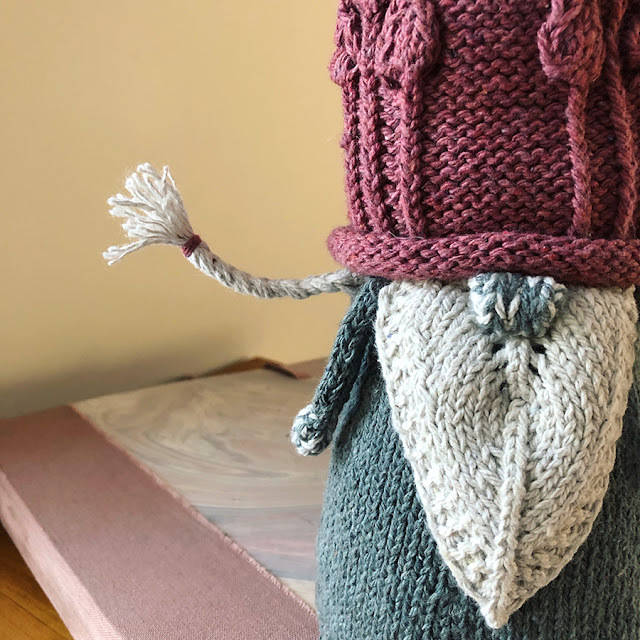 You really are a talented knitter. If you liked "The Wire" you should check out "Homicide: Life on the Street", which was written by the same folks for NBC in the early 90s and also filmed in Baltimore. One of my friends was an extra in a few of the episodes and a group of us used to watch it religiously. I got married in Baltimore and my brother lives there. Have a great weekend! --Rita Z.
I used to watch that show ages ago! I haven't had TV for years, so I haven't come across episodes. My husband just went to a conference in Baltimore and was going to buy the DVD set for the Wire there, but it's such a tourist treasure that you can get it online for half as much! Fantastic fix as always - that sweater looks much, much better than the original. I will use that crochet chain trick in the future. 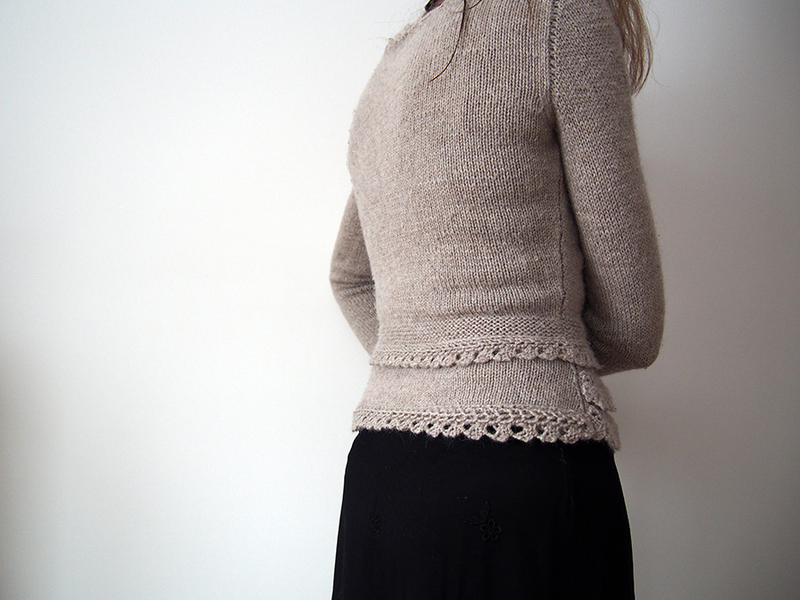 It's a very elegant sweater and the back looks terrific. Love the red couch too! Hope spring is coming your way soon. Thanks for thinking Springy thoughts for me. Of course, when I wrote this, 3 inches fell that morning. grrr! Fantastic adjustments to the cardi. Lucky you still had spare yarn for this. I am ashamed... I have at least three garments that need re-jigging. One of them falls off my shoulders and I love your tip for the crochet chain. Brilliant idea. I have no excuse now. You are having some bad luck with the stuff coming into the house. I hope yours (or their) insurance company will pay out for a new floor. Yeah -- I had to reuse the yarn for the sleeve and then add from the extra ball I had leftover from years ago. I was worried the yarn would be too crimped, but a good soak seemed to even it out! No insurance to help here -- this was all our fault. Ahem, I should say my husband's fault!! The sofa adventure reminds me of our problems bringing in a new dryer down our basement. We had to call the shop and simply exchange it. Ah, the surprises of a new house. It is coming out great. And wonderful mods on your sweater, your saved version is so much better, and wereable. Well done! Oh I wish! But we bought it from a discount store and had even rented a Uhaul to go pick the thing up in two trips. The worst part was that we bought it from a chain discount store that was an hour away, and didn't IMAGINE that the store nearest us had the SAME EXACT ONE! Double ugh. What a fiasco. It looks like you crocheted a separate chain, and then attached it to the neckline of the sweater, yes? 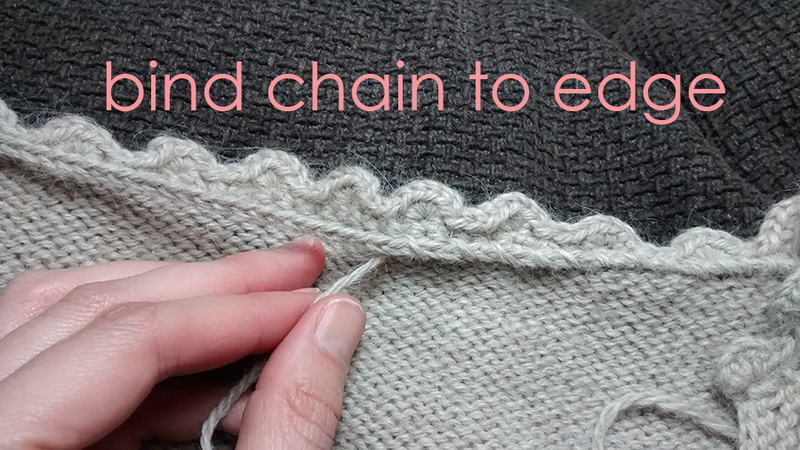 Could you get the same result by doing a single crochet chain directly on the inside back neckline? Loved all your ideas for fixing problems...something we all have to do from time to time! And it's a good question, both of you! You could do slip stitch crochet across, absolutely. However, your tension will depend on how you make your stitches, and every stitch could be slightly different. And if they are too tight, they will gather the fabric. With the cord, you pull it taut and immediately sew it down at the tension you want, constant along the horizontal. You also avoid any shadow of slip stitch crochet you might see on the right side, from the pulling of the stitches. 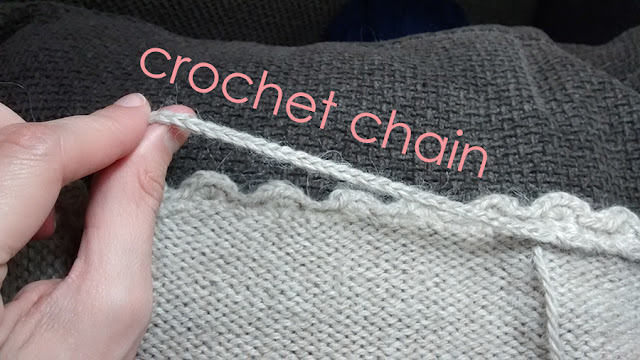 I should add that if you do it directly on, don't use single crochet, it's too bulky. Just slip-stitches. 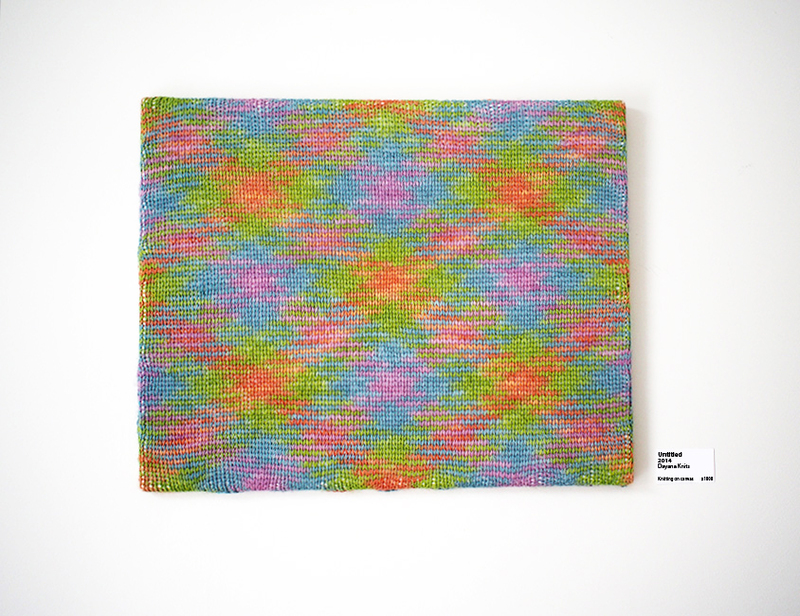 Yes, slip stitch would be much better than single crochet. 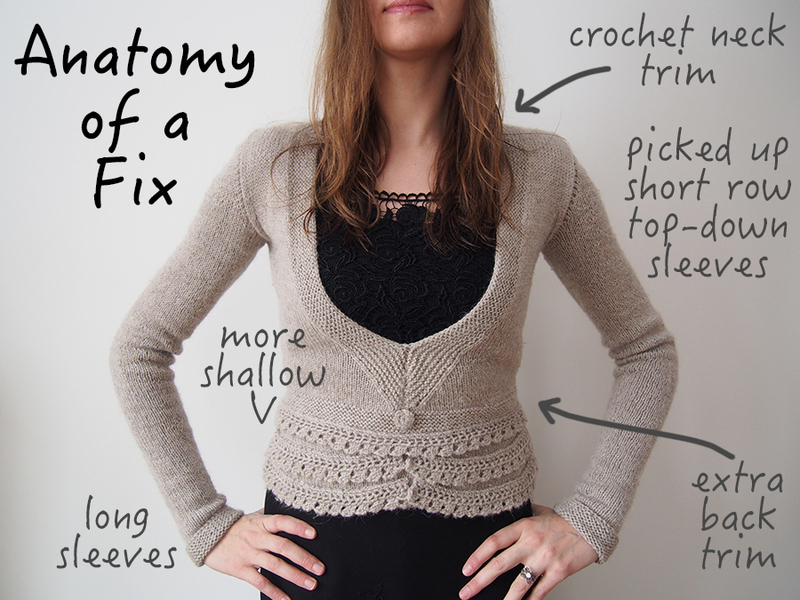 I may try this soon on a sweater that needs a fix! Oh, and I love your modern bedroom rug--great colors! GREAT save, Dayana. Thanks for the tips and the inspiration. 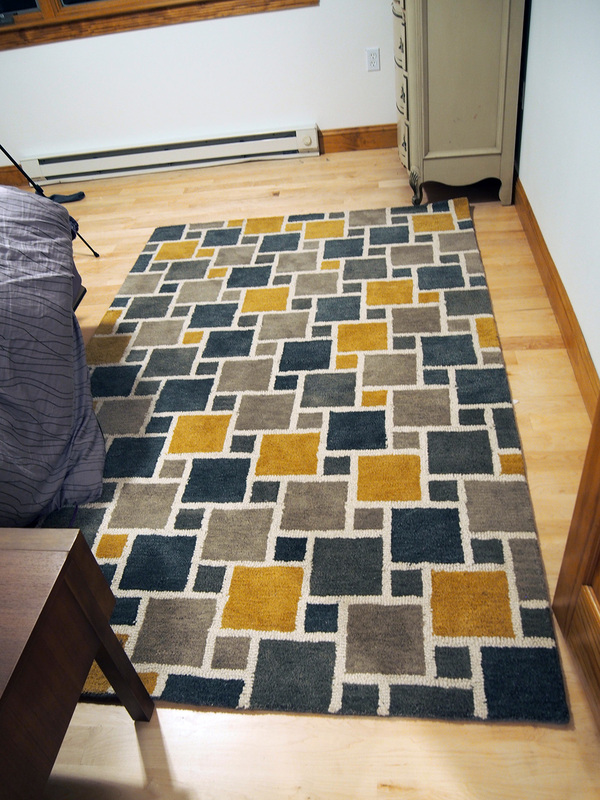 I feel for you on the mishaps of refurnishing (we've all been there . . .) The plans for the closet are enviable, however, as are the rugs and the barstools. Bon voyage and best of luck for the continuing decorating efforts. Oh, I figured as much. :) Sadly, with all the money sinking into the house, there is definitely no voyage in my future. But that's ok, there's always some homeland to discover, after all, we haven't been here long and everyone else seems to come HERE for vacation! Great save! It looks much better with the full length sleeves and the edging at the back hem. Awesome post! Inspiring! You're amazing! I have a lot of work to do on a Rowan Purcell cardigan I knit in cotton instead of wool, where the collar pulls because it has no stretch. I need to undo and redo with way more stitches. Any advice of a cast-off that is super loose? 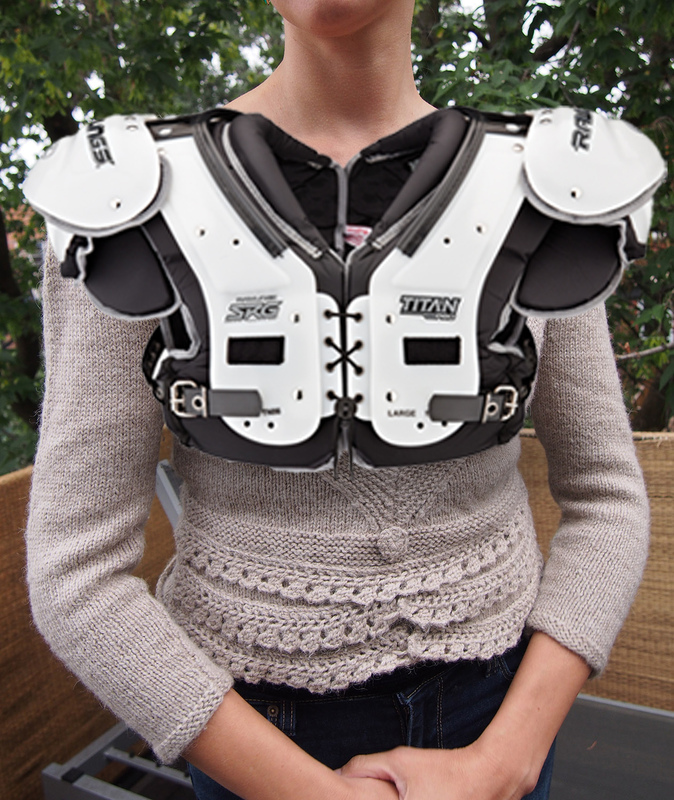 Oof, you may have stumped me with the collar pick up. The only thing I might suggest is actually sewing the collar down so that the seam isn't seen. I've definitely done that many times! But if you say it is tight, that might not look good. I do think that if you had more stitches, some of these problems could be minimized. GOOD LUCK!